The team left England on the 27th December and discovered that the journey would not necessarily be a straight forward one. A choppy ferry crossing and then snow from Belgium right through to Romania was just the start of the challenges ahead. 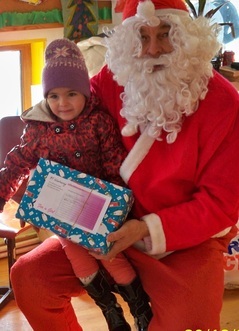 One of the first stops were the villages of Maiad and Galesti, Romania, to visit friends of TEECH from prior projects and to deliver shoeboxes to two schools where the children would return to school in the new year to the surprise of presents. We then continued the journey to the small town of Tarlungeni, a new location for TEECH to visit. 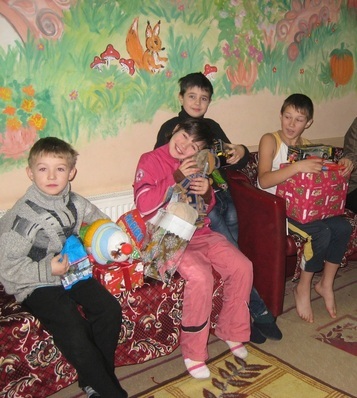 Another UK charity had contacted us to see whether we could visit the children with presents and provide some clothing and shoes. 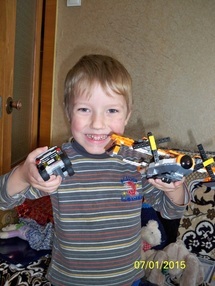 Many children have little to wear and therefore do not always attend school. We met Diana Pruteanu a teacher at the school and the children were waiting patiently in the snow for our arrival. The team then split into two, so that the lorry could go ahead and travel into Moldova before the new year holiday started and customs would close for four days. 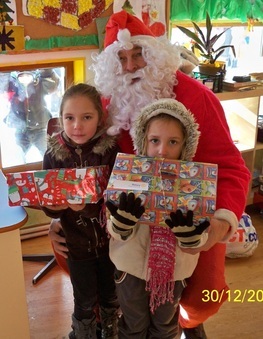 The other half of the team traveled to Comanesti, Romania to deliver shoebox presents from the UK charity UK2ROM to the Robert Cole Centre. Their gifts would later be distributed to known families who require some support and this would be done by Adrian Woodroffe, who is based in Comanesti. TEECH also left food and clothing for a family who have been supported by the charity since 2009. 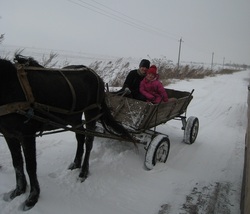 In Moldova, the team once again came together and the temperature had dropped to minus 20 and the snow was now thick and covering the roads. We were once again lucky enough to stay with Veronica of Ora International who supports TEECH with the paperwork for Moldovan customs. Undeterred we traveled to the villages of Ivancea, Branesti and Furceni over a two day period to see the children at each school. The mayor was very hospitable and fed us well, along with spending time with us visiting the elderly in their homes so we were able to hand out food parcels and blankets also. Visiting people in their homes is a real eye opener to the condition in which many villagers live. Even though their homes are warm, they are very basic and the majority have no running water and an outside toilet. They use rugs/blankets on walls and floors during the winter months to try and contain the heat generated from their wood burning stoves. Many families have their own animals and grow their own vegetables which are then pickled to preserve them during the winter. Some of the older generation cried when we showed up to provide them with food parcels and blankets, all of which we feel supports them, even if just for a short time. Grozesti would be our next stop, visiting Carol Stadden, an American lady with the US Peace Corpse living in Moldova. 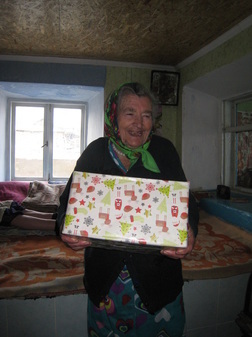 Carol had arranged for us to visit 10 families in the village who she knew would benefit from food, blankets and shoebox presents. We were also able to help by providing wind up lanterns, which were purchased with funds donated by June and Derek of Essex. We visited Balanesti, the village where the 2014 summer project had been completed and stayed with the Director of the School, Svetlana. Another wonderful host. We spent the day seeing the children and then time in the village going from home to home. The van only got stuck in the snow once but the locals are always on hand to help you out of any tricky situations. 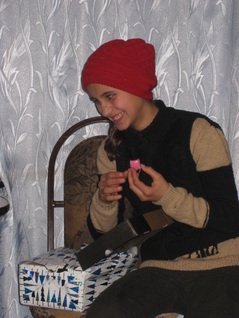 After leaving Balanesti we traveled up to Cornesti to deliver children's bedroom furniture. The furniture had been donated to TEECH from a children’s home in Essex which was closing. The furniture will now be used to help women and their children in a refugee in the town. On the journey to the village we encountered one hill which even the locals were struggling to tackle in the snow, with many finding themselves in the ditch, but they are use to this and just dragged each other out and got on their way! We waited until the snow had been gritted to get the lorry and van up the hill. The ladies of Casa Helen in Risipeni were a joy to visit once again. TEECH visit each year to give presents to each lady, especially a tin of chocolates which go down a treat and puts many smiles on many faces. The community of Biruinta and many homes in Balti were our final destinations. We delivered a wheelchair to a blind lady who has not been out of her home for many years because she can not walk far on her own, but now we hope she will be able to get out with friends. We even surprised one lady and her daughter by stopping at the side of the road and providing them with gifts whilst they traveled in their horse and cart. One last stop was made on the day of departure, an unplanned stop at the Orphanage in Risipeni to see the few children remaining at the home over the Christmas holiday (many children often visit relatives and therefore get time away from the home during holiday season). 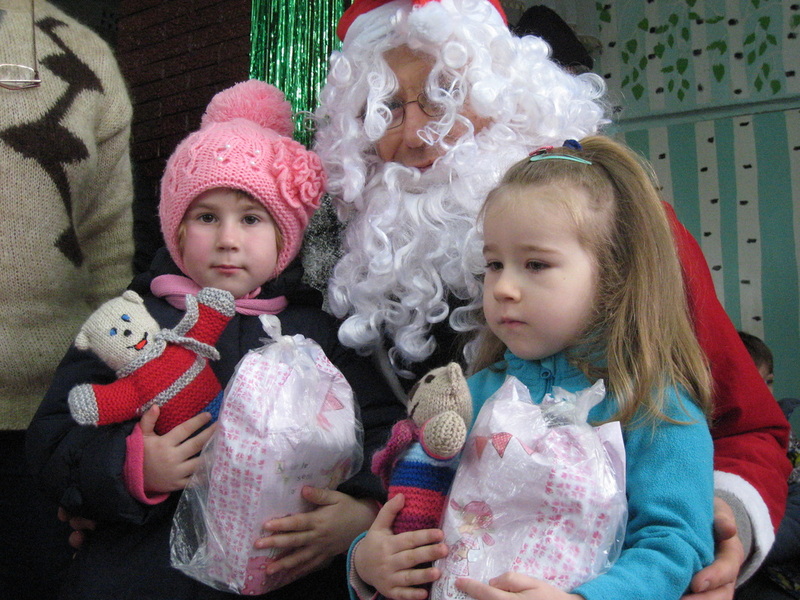 Due to it being a surprise visit, the children were bursting with excitement when they saw presents, plus a donated hand knitted toy. THANK YOU TO ALL THOSE WHO DONATED SHOEBOXES, FOOD PARCELS, CASH, BLANKETS, TOYS AND CLOTHES TO ENABLE TO TRIP TO BE SUCH A SUCCESS.